All year long, Apples of Gold offers a 10 percent military discount, as well as free shipping, to all members of the U.S. Military. It’s a small way of showing our appreciation for the men and women who sacrifice every day so that we can enjoy the freedoms with which we are blessed. If you serve in the U.S. Military, you can take advantage of this discount by entering the coupon code “MILITARYONLY” when you check out. For this code to apply to your purchase, your order must be shipped to an APO, FPO or military base address; however, if you need to ship your order elsewhere you can email us to get the discount. Since we opened our virtual doors in 2000, we’ve held the conviction that the prices most conventional jewelers charge are exorbitant, reflecting a much higher markup than is often necessary. 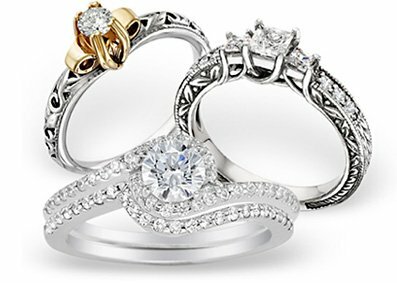 We set out to be different: we’re committed to value-based pricing and employ only a modest markup, providing our customers with an average savings of 40 percent off traditional retail jewelry prices. Our dedication to value pricing is matched by our devotion to excellence, and we never let our desire to offer a fair price cause the quality of our jewelry to suffer. We’re constantly refining our selection, as well as continually working to hone our service to our customers and our relationships with our manufacturers, designers and suppliers—all to bring you the best fine jewelry and the best shopping experience possible.